Testosterone USP is natural testosterone that has been approved by the United States Pharmacopoeia and is available as a pure chemical. 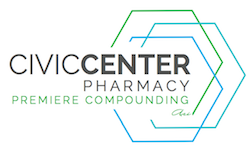 Upon a prescription order, compounding pharmacists can use Testosterone USP to prepare numerous dosage forms. The term “testosterone” is often used generically when referring to numerous synthetic derivatives, as well as natural testosterone. Confusion is responsible for conflicting data in the medical literature about the benefits and risks of testosterone therapy. Studies must be reviewed carefully to determine the form of testosterone that was used. Natural testosterone must not be confused with synthetic derivatives or “anabolic steroids,” which when used by athletes and body builders have caused disastrous effects. For example, administration of synthetic non-aromatizable androgens, like stanozolol or methyltestosterone, causes profound decreases in HDL-C (“good cholesterol”) and significant increases in LDL-C (“bad cholesterol”). Yet, hormone replacement with aromatizable androgens, such as testosterone, results in lower total cholesterol and LDL cholesterol levels while having little to no impact on serum HDL cholesterol levels. Proper monitoring of laboratory values and clinical response are essential when prescribing testosterone replacement therapy. Testosterone Therapy: Monitor Estradiol and DHT LevelsAs men age, testosterone levels progressively fall and inflammatory biomarkers increase. The gradual decline in testosterone production with aging, known as andropause, is common and may have deleterious effects on men including decreased overall well-being, increased risk of cardiovascular disease and sarcopenia, reduced sexual function, and bone loss. Occasionally, physicians may discourage male patients from getting testosterone replacement therapy based on a few recent studies indicating the therapy causes cardiovascular events, including myocardial infarctions. Yet, an extensive review of the testosterone replacement therapy literature reveals that the majority of clinical studies show that properly administered testosterone replacement therapy, in which estradiol and dihydrotestosterone levels are also controlled, has no adverse effects on myocardial infarction risk. The testosterone controversy stems largely from poorly designed clinical studies in which patients were subjected to testosterone replacement therapy without having their estradiol and dihydrotestosterone levels properly controlled. Long-term Androgen Replacement Therapy: Effects on Aging Males with Late-Onset HypogonadismAndrogen replacement therapy was associated with significant decreases in waist circumstance and serum triglycerides; with significant increases in whole-body and leg muscle mass volumes, serum hemoglobin, IPSS voiding subscore, and a positive effect on erectile function. There was no significant difference between the groups in terms of severe adverse events. Korean J Urol. 2015 Apr;56(4):310-7. Elderly men over 65 years of age with late-onset hypogonadism benefit as much from testosterone treatment as do younger men. Testosterone Therapy and Cardiovascular MortalityTestosterone therapy is recommended for men with symptomatic androgen deficiency and unequivocally low testosterone levels. Tanna et al. concluded from the study that testosterone therapy can be safely considered in men with appropriately diagnosed clinical androgen deficiency and increased cardiovascular risk after a thorough discussion of potential risks and with guideline-recommended safety monitoring. Curr Atheroscler Rep. 2015 Mar;17(3):490. Testosterone Therapy in Men with Crohn’s Disease May Improve the Clinical CourseCrohn’s disease is an inflammatory chronic bowel disease characterized by an imbalanced production of pro-inflammatory mediators (tumor necrosis factor-α) and an increased recruitment of leukocytes to the site of inflammation. Low serum testosterone is associated with an increase in inflammatory factors, while testosterone administration reduces them. There is evidence for an immunomodulatory effect of testosterone on differentiation of regulatory T cells. The study concluded that normalizing serum testosterone in men who have low testosterone levels had a positive effect on the clinical course of Crohn’s disease. Horm Mol Biol Clin Investing. 2015 Jun;22(3):111-7. Testosterone therapy in men with Crohn’s disease improves the clinical course of the disease: data from long-term observational registry study. Testosterone Replacement in Men with Opioid-Induced Androgen DeficiencySymptomatic androgen deficiency is common in patients taking opioid analgesics, as opioids potently suppress the hypothalamic-pituitary-gonadal axis. However, the efficacy of testosterone replacement in this setting has been unclear. The objective of research by a team from Brigham and Women’s Hospital, Harvard Medical School, Boston University School of Public Health, Boston University School of Medicine, and University of Pittsburgh School of Medicine was to evaluate the efficacy of testosterone replacement on pain perception and other androgen-dependent outcomes in men with opioid-induced androgen deficiency. It was found that men with opioid-induced androgen deficiency, testosterone administration improved pain sensitivity, sexual desire, body composition, and aspects of quality of life. Testosterone Replacement Therapy for Men and Treatment of DepressionTestosterone replacement therapy (TRT) may be efficacious treatment for subthreshold depression in older men with hypogonadism. Low Testosterone Increases Mortality Risk in MenA population-based cohort study followed 1954 men aged 20 to 89 years for an average of 7.2 years, and has demonstrated a link between low levels of testosterone and increased risk for mortality in adult men of all ages.